State-level taxes may be the most visible source of state government revenues for most taxpayers, but it’s important to remember that they are not the only source of state revenue. State governments also receive a significant amount of assistance from the federal government in the form of federal grants-in-aid. Federal aid is given to states for Medicaid, transportation, education, and other means-tested entitlement programs administered by the states. States differ in the amount of federal aid they receive. 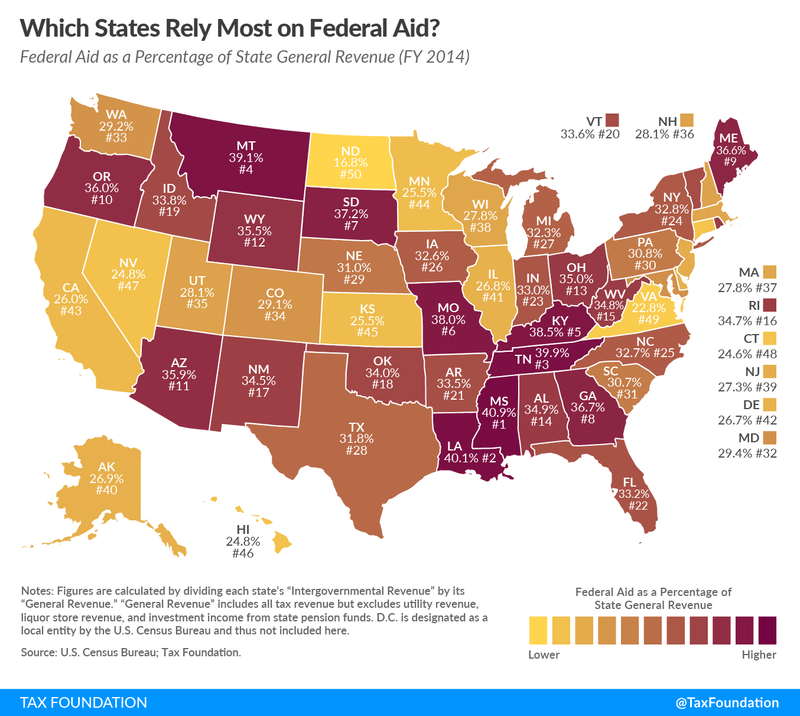 The top recipient of federal aid in FY 2014 was Mississippi, which relied on federal assistance for 40.9 percent of its revenue. Other states heavily reliant on federal assistance include Louisiana (40.1 percent), Tennessee (39.9 percent), Montana (39.1 percent), and Kentucky (38.5 percent). As we have previously noted, these states, and others that rely heavily on federal assistance, tend to have modest tax collections and a relatively large low-income population. Other states have comparatively low reliance on federal aid. North Dakota relies on federal assistance for only 16.8 percent of its general revenue. 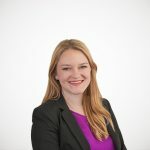 Other less-reliant states include Virginia (22.8 percent), Connecticut (24.6 percent), Nevada (24.8 percent), and Hawaii (24.8 percent). Trends in these states are opposite those in federal aid-heavy states; they typically have higher tax revenues and a smaller low-income population. Nevada is somewhat of an outlier, however, as it is able to export a large portion of its tax burden through sales taxes due to tourism. North Dakota is also able to export much of its tax burden, through severance taxes. The map below shows each state’s dependence on federal assistance. Errata: A previous edition of this post mistakenly referenced federal expenditures in states, not federal aid to states. A previous edition mistakenly referred to federal aid as per capita, not per state.